Posted on December 7, 2013	by Rev. Joe Jagodensky, SDS. “In the beginning” begins the beginning of our beginnings. Today we honor the birthday of Jesus’ mom, Mary. (So she was the beginning of our beginnings!) Well, yes and no. Why September 8, I’m not sure. 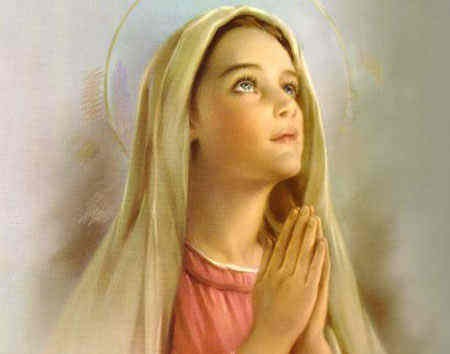 I’m sure the Catholic Church has some planetary reason why Mary was born today, I just hope that it wasn’t based on Pluto. I like the emphasis to this day to be on beginnings. How better to do it except through the mother. Through, not because of. Through, sometimes in spite of. Through, but sometimes to her credit. A friend of mine is pregnant with breast cancer and needs to forgo extensive cancer treatment until her baby is born. Is that love? Is that something you know not now but somehow find the trust to endure? The beginning of something is always the end of something else. One television program that you immensely love is cancelled and a new show begins that you now immensely love. The life of Jesus gives us the realization of our hopes and promises. His life ended the drudgery of always drudging up our failings and weaknesses. The birth of Mary ended the waiting and anticipation of salvation history. This entry was posted in Blessed Virgin Mary, Spirituality and tagged Blessed Mother, Mary, Mother of God, St. Mary. Bookmark the permalink.